Enjoy an NBA game in Canada! 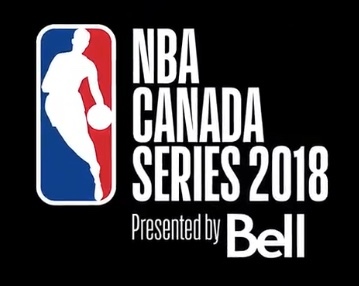 Enter the NBA Canada Series Contest to get an opportunity to win 1 of 2 trips to a 2018 Canada Series game. This contest is open to legal residents of Canada only who are of the age of majority or older in their province of residence. To enter you have to visit the official contest webpage located here and fill out the entry form with your email address, name, last name, date of birth and province or territory. Then just agree to the contest rules by checking the box and submit it. You may enter one entry per day during the contest period. Contest ends on June 12, 2018 at 11:59 pm ET. All eligible entries will enter a random draw to determine the winners. The NBA Canada Series Contest opens on April 19, 2018 at 9:00 am ET and closes on June 12, 2018 at 11:59 pm ET. On June 14, 2018 a random draw will take place to select the winners. They will be notified via email.